Billy Ray Cyrus is a man of faith. Yes, the religious kind; he is quick to reference a Bible passage in conversation (specifically, the one about Jesus and the fish). But the contemporary-country icon, actor, and dad to pop megastar Miley Cyrus also has an unshakable belief in the value of hard work, “keeping it real” no matter the odds, and drawing inspiration from your friends. That may sound a little unspecific — what successful creative person doesn’t believe in surrounding themselves with companions and putting in a little elbow grease? 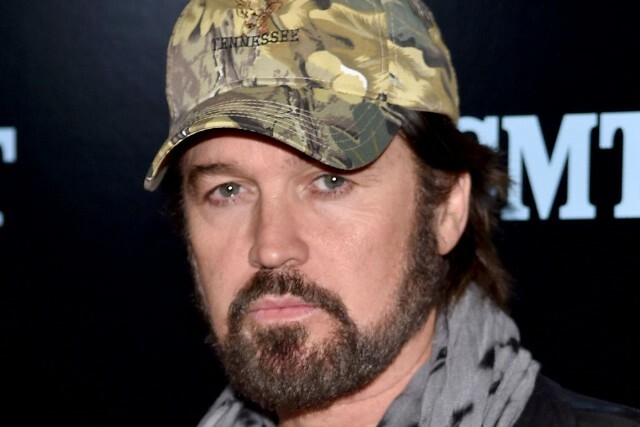 But the “Achy Breaky Heart” singer’s 54 years have been less typical than your average musician’s, including a decade touring through no-name Southern bars, pressure to surpass the aforementioned (and ubiquitous) ’92 hit, and endless media scrutiny surrounding his family, the most famous member of which has a penchant for loud, revealing costumes and Honey-I-Blew-Up-the-Kid-sized blunts. The longtime countryman offers more words of wisdom below, including advice on tackling negative press, the importance of believing, and why John Lennon was right when he said that the Beatles were more popular than Jesus. Regardless of your faith, you have to believe in something. Take that moment in the Bible where all those thousands of migrants were traveling with Jesus and they were starving. He takes one little fish and piece of wheat and turns it into loaves of bread and all these platters of food. It’s euphoria. Can you imagine all those people throwing their hands up like, “Our savior is here,” and cheering? Regardless of all faiths, you just gotta believe in something, or you have nothing. What’s good about nothing? That’s not hope. I’ll tell you what I love about the Jewish faith: It’s all based around the seeds you sow. Do you plant good seeds or bad seeds? “As you sow so shall you reap” is the way the Bible says it, and I know that in the Jewish faith it’s about doing good deeds. Or if you study Buddha or that religion then they call it karma. But I think all faiths agree on the fact that what we need is love. [Looking to] John Lennon, what the world needs is love. Show acts of love. Show acts of goodness. That’s what the world needs. Your faith will always be tested. Faith isn’t one of those things that all of a sudden one day you say, “Okay, I got it,” and you put it in your pocket and it lasts forever. Faith is tested. I hate to say it, but in this world faith is tested nonstop. Turn on the news for 30 minutes and you’ll be caught up on how love and faith are tested in our world and society. And when you break it down to an individual, as in you and I, it’s the same. I like to talk to kids about reaching their dreams. As early as the early ’80s, I used to go to little schools up in Kentucky and southern Ohio and give little seminars to classrooms and high-school auditoriums on setting and achieving goals. And that’s the kind of faith that a human being can apply in their life every day. Faith and believing in yourself and believing in others. And most importantly, believing in your purpose. The most important ingredient for success is failure. [My success in] the ’90s was built on a persistent decade in the ’80s, honing my craft night after night, becoming a better singer-songwriter/entertainer. And quite frankly, the ’90s was built on a decade of failure. Remember that Thomas Edison said the most important ingredient for success is failure. Every time you fail, you eliminate one way that won’t work, therefore being closer to one way that will. Do what you do because you love it and because it’s your passion. I tell my kids: Make art because you love it. When she was little, Miley [Cyrus] walked hand-in-hand with me and [rockabilly icon] Carl Perkins through this field out here [in Tennessee]. She was just a little, teeny girl. I’m talking 3, 4, 5 years old. Holding hands with Carl Perkins, the hand that wrote “Blue Suede Shoes” and was basically one of the founding fathers of rock’n’roll. For she and I both to have that great man between us… He’s telling me about his philosophy of music, which I absorbed like a sponge. The fact that he said, “Do what you do because you love it and, most of all, do it because it’s real and that’s your passion.” Well, there were a little set of ears down there connected to Miley’s head, and she absorbed that stuff too. She absorbed Waylon Jennings sitting around my kitchen table telling me the exact same words that Carl Perkins said. It wasn’t a coincidence that these guys both said the same thing. It’s what they believed. I was recently reading some tabloid s**t, and I was like, “Where do people make this s**t up?” Nothing’s changed, man. Nothing’s really changed except now the internet has become a part of that monster. You just gotta look at it and embrace it and go, as Dolly Parton once told me, “Okay, that s**t sells records.” I think Elvis said, “Just make sure there’s still your name on it.” If they ain’t talking about you, you probably ain’t doing nothing. Whoever’s on top is the king. You can even put that in Biblical terms, as John Lennon did when he compared the Beatles to Jesus. He got into lots of trouble for that. I’ve watched several interviews and read books [on the Beatles] since, and when I think about John Lennon and listen to his music, I have to smile. He was just trying to explain something, and that was his articulation. He did it with a wink in his eye. And I realized what he was saying: That it is a thin line between Jesus and the Beatles. Or between Jesus and Elvis. It’s a thin line between that sort of idolizing. Do as Merle Haggard said and keep it real. Merle Haggard is one of the most influential artists in my entire career. My dad played guitar and he had every songbook that Merle Haggard had. One of the first covers I ever recorded was “Sing Me Back Home.” Not long after I cut my 1996 album, Trail of Tears, Merle Haggard and I crossed paths out on the road. We got to sit and talk inside of his tour bus. Straight-up conversation, like having coffee, that’s what we did. He had the same philosophy: “Keep it real.” Make the music and write what you feel.